We are an evangelical, Bible-believing church serving the English-speaking community in Lausanne and the surrounding areas of Switzerland. We want to share the gospel (the good news about Jesus) with everybody, including the large expat population. All the services and meetings of the church are in English, as are the Bible version and the hymn book we use. We love to see families - children are very welcome at LFC. We come from different countries, but we all believe the Bible is the infallible Word of God, which is why the sermon is the most important part of any Sunday service. See this week’s church diary. 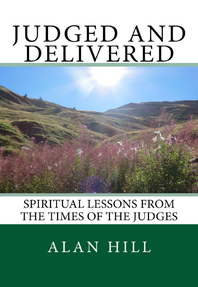 Judged and Delivered is a new commentary that gives a different perspective on the book of Judges. The book and the e-book can both be ordered from Amazon.